Not the keys you are looking for? 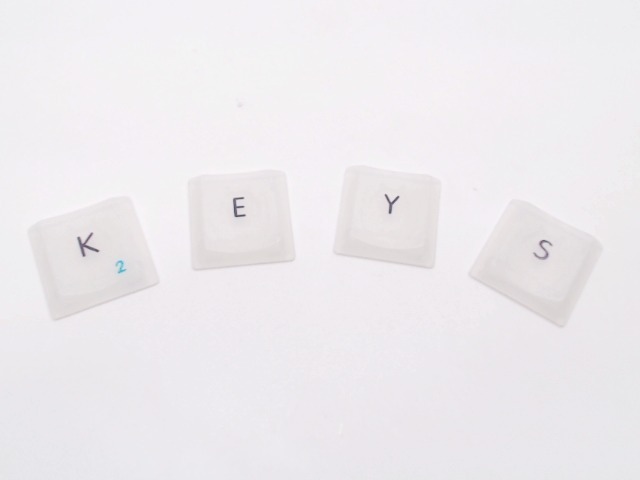 Order individual keys for your Clamshell iBook keyboard. (Keys include white scissor mechanism) All keys are currently available. Please note that some international keyboards are different from US keyboards. These are US keyboard keys. Most of the letter keys are the same, but in some countries shift keys, return keys, etc... are slightly different. To order keys, select the keys you need below or type them into the box on the right. Then in the quantity box, make sure the total number of keys you are wanting to purchase is selected. The keys are $8.95 each. So, if you need the "b" key and the "c" key, in the box you would type in " b, c" and in the quantity box you would select 2. If you have any questions, click here to email us!